We learned in May that there would be delays to Intel's Centrino 2 chipset for notebooks, but today it gets an official launch from Intel. That certainly tallies with the slew of notebooks hitting the news which have the chips inside. 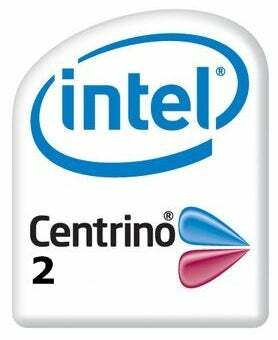 Alongside the Centrino 2, Intel gives us word on the Core 2 Extreme, which runs at 3.06 GHz and the Mobile Intel 45 Express Chipset and wireless Intel Wi-Fi Link 5000, and the WiMAX/Wi-Fi Link 5050 chipset that supports the Centrino 2 to support WiMax and Wi-Fi operations. Since Intel plans to release eight processors over the next 90 days, there'll be lots more news like this. Press release below. SAN FRANCISCO —(Business Wire)— Jul. 15, 2008 Intel Corporation unveiled its Intel(R) Centrino(R) 2 Processor Technology products for laptops today, powered by five new Intel(R) Core(TM) 2 Duo processors. Close to 250 innovative consumer and business notebook PC designs are on the way, including those equipped with the right combination of powerful processors, graphics and battery life to enjoy viewing stunning high definition videos and myriad other computer and Internet activities. Intel also introduced the world's highest-performing dual-core mobile processor, the Intel(R) Core(TM)2 Extreme processor running at a brisk 3.06 GHz, as measured by SPECint(1)_rate_base2006, an industry benchmark (http://www.spec.org)(2). Rounding out a mobile-focused summer for the company, Intel said it also plans to unveil eight processors within 90 days that will include first-ever mobile quad-core products and second-generation products for ultra-thin and light notebooks. In total, Intel will bring 14 diverse new processors into the marketplace as laptop sales continue to outpace desktop PCs. Formerly codenamed Montevina, Intel Centrino 2 processor technology and Intel(R) Centrino(R) 2 with vPro(TM) Technology improve upon every facet of a laptop's main features, including performance and battery life via new processors and chipsets, faster draft 802.11n wireless (with WiMAX arriving later this year), and new business-class manageability capabilities. "When we first introduced Intel Centrino back in 2003, there were very few Wi-Fi hotspots, YouTube videos and social media didn't really exist, 'thin and light' only referred to weight goals and desktop PCs outsold notebooks by a very wide margin," said Mooly Eden, Intel corporate vice president and general manager of the company's Mobile Platforms Group. "Today, notebooks outsell desktops in the U.S., and we're paving the way to HD entertainment, rich online gaming, faster broadband wireless speeds and an easier and more secure way for businesses to manage, update and repair their notebook fleets." Intel is introducing five dual core processors based on Intel's reinvented transistors (high-k metal gate formula) and advanced 45-nanometer manufacturing process. These processors come with a faster 1066MHz front side bus and up to 6MB of L2 cache, and three versions reduce laptop processor wattage about 30 percent, down to just 25 watts. Also featured is Deep Power Down Technology that turns off processing components such as core clocks and cache memory when the laptop is idle for greater energy savings. Intel also unveiled its Mobile Intel(R) 45 Express Chipset and wireless Intel(R) Wi-Fi Link 5000 series that is shipping to customers now, with laptops arriving later in July and August. Delivering five times the speed and twice the range of older 802.11a/g technology, the Intel Wi-Fi Link 5000 series provides 802.11 draft-N support that delivers the fastest data rates possible today — up to 450 Mbps. Switchable graphics, a new optional power-saving feature available on Intel Centrino 2-based notebooks, provides both integrated and discrete graphics on a single notebook, enabling users to easily switch between the two options. Switchable graphics delivers greater 3-D performance when needed while providing the option for greater power savings for the best of both worlds. For consumers, Intel Centrino 2 processor technology delivers the horsepower and battery life to enjoy a typical full-length, Blu-ray(1) high-definition video on a single battery charge for the first time, plus the ability to play a variety of online games, download music or post videos faster than before. For businesses, Intel Centrino 2 with vPro technology offers enhanced manageability and security options. This is increasingly important as companies replace desktops with notebooks and need to remotely diagnose, update and repair systems over a wireless network. Improved manageability with AMT 4.0 has also been added that provides wireless manageability during system sleep states, ongoing remote configuration capabilities, support for next-generation management standards (WS-MAN and DASH 1.0) and the ability for an employee to initiate communications to IT from outside a company's firewall. OEMs and Channel system builders will deliver close to 250 systems to market. For more information including Intel product pricing, visit http://www.intel.com/go/processor_pricing. For a full media version of this release including photos, videos, related blogs and other information, visit http://www.intel.com/pressroom/archive/releases/20080715comp_sm.htm and the Intel Centrino 2 technology press kit at http://www.intel.com/pressroom/kits/centrino2. Later this year in the United States, Intel will begin shipping its first-ever combined WiMAX/Wi-Fi module, part of the Intel(R) WiMAX/Wi-Fi Link 5050 Series that is an optional feature for future Intel Centrino 2-based laptops. WiMAX is a 4G, Internet protocol-based broadband wireless technology that complements Wi-Fi networks. WiMAX also provides much wider Internet and phone voice coverage, and unlike Wi-Fi has the ability to unwire entire cities or communities, connecting users even when they're on the move. Intel is working with service providers around the world to deploy WiMAX networks, with initial U.S. network availability starting later this year from Sprint XOHM and Clearwire.